View More In Sleeves - Page 9. 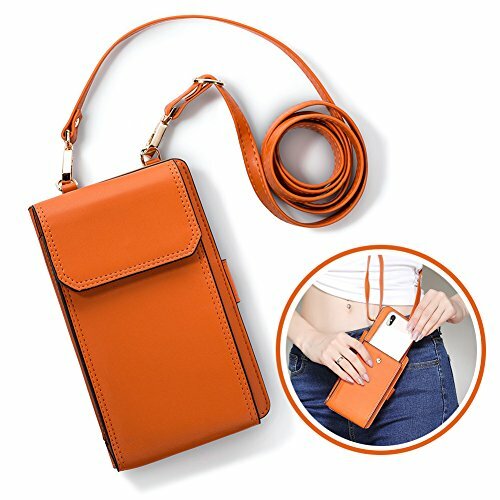 Note: iPhone 6 Plus,iPhone 6S Plus, iPhone 7 Plus,iPhone 8 Plus ,Need to take out Case to use this crossbody Bag. Made of friendly synthetic pu leather.Demension:5.8inch(L)x 3.6(w);Shoulder strap is about 50",which is adjustable. Great for carrying cell phones,money,keys,credit cards and so on,with this bag helps to keep hands free. Super convenient for carrying little stuffs,best for walking, shoppping and other use. It has two separated pouches for carrying cellphone,keys and money;10 credit card slots. If you have any questions about this product by SHINEFUTURE, contact us by completing and submitting the form below. If you are looking for a specif part number, please include it with your message.